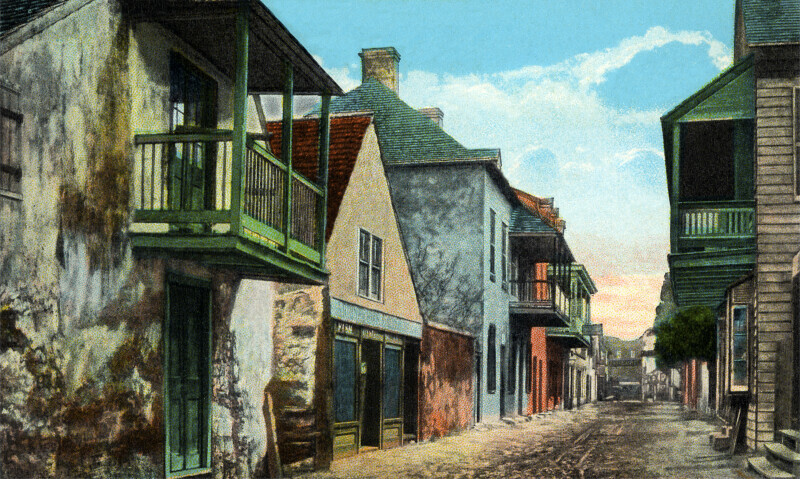 This picture gives the viewer a look down the length of Charlotte Street in St. Augustine, Florida. Many of the buildings of the building are constructed with coquina, and several have balconies that overhang the street. The road is unpaved, but evenly-graded.